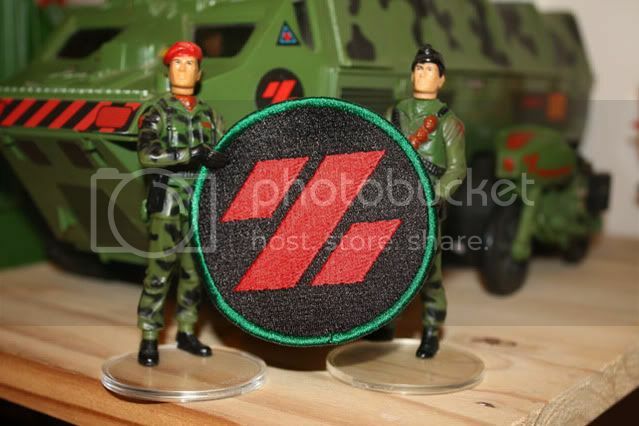 "I DID SOME WORK ON THE NEW GI JOE FILM" BFTB Exclusive Chat - Page 6- BLOOD FOR THE BARON!!! paul463 wrote: Are the rest of the German ones coming too? Two new patches on sale today, and new ATT ones coming soon! Thank you very much for making this happen, Space Commander! The Baron wrote: Thank you very much for making this happen, Space Commander! Anytime, Baron. I'm glad to help and happy to contribute. It's been a bit tricky because I can get online only a few times each week! Just wish I was on commission, ha ha ! Seriously though, Kathy's been invaluable. 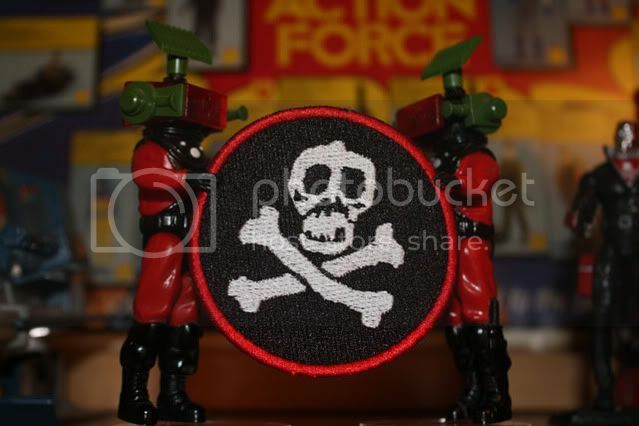 The forthcoming ATT patches look so good, they've really got me thinking about how cool an Anti Terror Team revival would be, perhaps some new figure (on an oldschool cardback) who embodied all the teams rolled into one. I can dream! Ha ha, just nicked these photos from the Katarra8.com thread in the Projects section. Cheers, Meertoh! meertoh wrote: I received a load of and patches today, they're perfect, beautifully made, although my girlfriend is worried that I'm going to stick them on all of my clothes! A huge THANKS! to Kathy and to Space Commander for making them happen! I'm gonna order the other teams now! Kathy says the SATT, TSATT, and WATT patches are coming soon! Yeeha! The final three ATT patches are now available at Katarra8.com! I have my full set now, and I can honestly say the quality is amazing. Thanks once more to everyone for supporting the project. Double-tap wrote: Paul get the Special Weapons Force badge for the lab coat and you could be Boffin. I might do that and take a photo one night when I'm in on my own, just need to get a beard Oh and some hair too!